If you imagine one of the 6 million scuba divers in the world, you’d typically think of them swimming underwater and wearing a suit covering from head-to-toe. So, you wouldn’t expect sunburn to be the biggest dangers they face. The Center for Disease Control has reported that just 29.9% of females use sunscreen on their face and other exposed areas of skin. The time spent getting in and out of the water and travelling to reefs is when you’re most at risk of the harmful effects of the sun. Therefore, making sure you have the best protective diving clothing and gear for your dream diving destination is just as important as lathering yourself in sunscreen. When you’re preparing to get your wetsuit on and dive into the ocean it’s easy to think that applying sunscreen is a waste of time when it will be washed off or covered up soon. All too frequently scuba divers don’t realise how much time they spend out of the water, and ultimately, how easily they can be burnt. Female scuba divers are particularly susceptible to sunburn on their scalp and T-zone. Makeup containing SPF would protect the T-zone but usually isn’t worn for dives. You may be used to diving in one part of the world and never had a problem, but if you’re trying out a different location it’s easy to forget how easily you can get sunburn. Cancer Research UK have found that women tend to be better than men at protective and avoidance behaviors when it comes to sunburn, which is great to hear for all the women scuba divers out there. 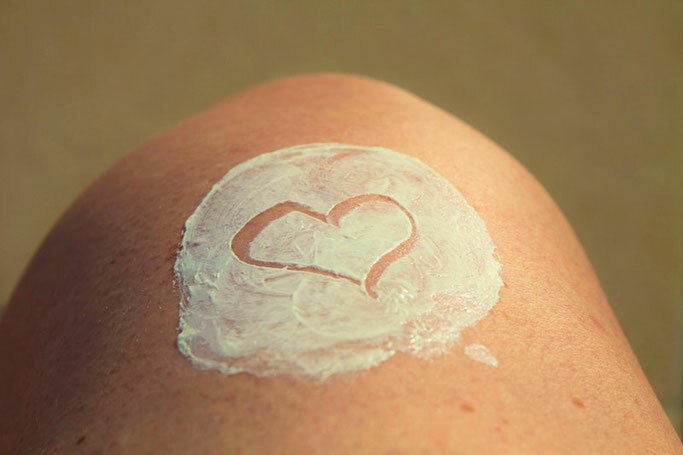 Women look for more in a sunscreen than just to prevent burns. They also want it to moisturise our skin, be absorbed quickly and make them smell good, and now more than ever to be reef friendly. People often believe that wearing sunscreen will prevent your skin browning, which isn’t true and is often a reason they choose to wear a lower SPF factor, or to not wear any at all. It’s recommended that you use at least SPF 30, apply sunscreen 15 minutes before sun exposure to give it time to sink in and regularly re-apply it, especially after getting out of the water. Scuba divers are usually protected by their wetsuit or drysuit, but on a hot day it’s normal to want to roll your suit down to cool off, but this often leaves just a bikini top covering your skin. A lot of time is also spent with skin exposed on the lead up to a dive, such as on the beach or in a boat travelling. This is when it’s important to apply your sunscreen or wear a rashguard to protect yourself against burns. Wearing a sunhat will also protect your scalp from burns. 57% of women say they feel more confident and attractive with a tan and will actively spend more time in the sun or choose not to protect their skin in order to get the look. Of course, this makes them much more likely to burn. The familiar pain of sunburn is well known, so imagine putting your skin-tight wetsuit on over your painful, sensitive curves, followed by the pressure of your oxygen tank. It would be excruciating. Not being able to wear the suitable clothing and equipment can often result in you not being able to dive, so if you’re not worried about the cancer risks associated with sunburn, perhaps being forced to sit out of your favourite hobby will make you think twice. That being said, a US study found that women who had five blistering sunburns between 15 and 20 years old were 80% more likely to develop the deadliest type of skin cancer, melanoma. These sorts of odds should make you consider the medical risks of sunburn, as well as the social repercussions. The CDC found that around 30% of women get sunburn every year, so if you do find yourself covered in the pain of sunburn it’s important to treat it appropriately. Applying damp towels to your skin or taking a low temperature shower can relieve the symptoms of sunburn. There are lots of beauty products that can help sunburnt skin, from body butters to after sun lotions. It’s essential to put the moisture back into the skin and products that contain aloe vera and vitamins are particularly good for this. The heat from the burns can cause you to lose fluid from your body, meaning there’s also a risk you could become dehydrated, so drink plenty of water. Usually your skin will heal after about a week with dead cells peeling off to reveal a new, healthier layer of skin. Using a gentle exfoliator and a mitt designed for delicate female skin can assist the dead skin cells to come off. Severe sunburn can make the skin blister and cause you to feel nauseous, if this happens you need to get medical advice for special creams and dressings to help your skin heal. As a scuba diver you’ll be aware of the impact humans are having on the ocean, with plastic pollution being a major theme in the news lately. Up to 6,000 tonnes of sunscreen is believed to wash off divers and snorkelers skin when they’re in the ocean and has been linked to damaging coral reefs due to the chemicals they contain. It’s believed that some of the chemicals can set off viruses in the coral, which in turn bleaches them white and they often die. Some reefs are now limiting how much sunscreen you can have on your skin before diving, and Hawaii has banned certain products in an attempt to protect them. Applying sunscreen only to areas that will be exposed when diving, like your face, neck and hands, will keep you protected but minimise the amount that ends up in the sea. It’s worth bearing in mind that you can get reef-safe sunblock that won’t cause harm to the ocean but will keep your skin safe. They don’t contain the harmful chemicals, including oxybenzone and butylparaben, so be sure to check the ingredients list before purchasing your sunscreen. It’s a common misconception that scuba divers don’t need to worry about sunburn, when the reality is that it is a major concern. Wearing a rashguard, instead of a bikini, under your wetsuit or drysuit will mean you can roll it down in between diving without exposing your skin to the sun’s harmful rays. Regularly applying sunscreen to skin that isn’t covered up will also help protect you. Being aware of the times when you’re most at risk of sunburn, such as in between dives, and acting are the best ways to protect your skin and keep you fit and healthy to keep exploring the ocean for years to come.